The Humble Libertarian: Movie Monday - Abraham Lincoln, Vampire Hunter Trailer Released! 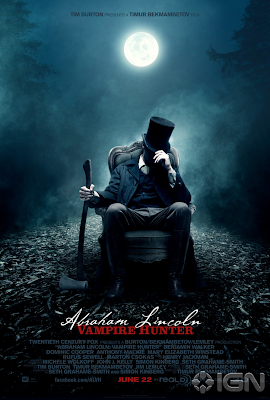 Movie Monday - Abraham Lincoln, Vampire Hunter Trailer Released! Read my full thoughts on this gloriously twisted movie in my latest blog post at The Silver Underground.